Past Student Essays from Savanna High School. THINK. TANK. CHALLENGE – Although it was rare for me to be told no, I wouldn’t have considered myself to be a spoiled child. Think. Tank. Challenge Essay – Success, not just a word, not just handed to you, it’s the ideal satisfaction in which is taken into consideration of striving towards what you truly desire. 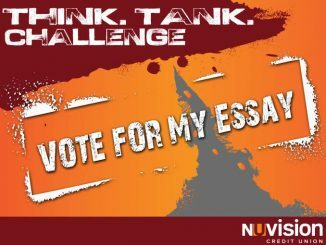 Think Tank Challenge Essay – At the ages of 13 and 16 I was, along with my mother, and two sisters, living in bedrooms meant for one person to live in.